4mm (6) and 5mm (H) hooks. 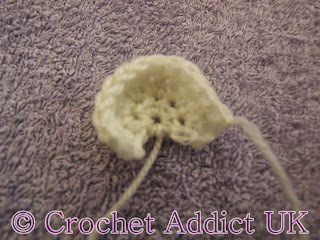 If you don’t have a 4mm hook use a 4.25mm(G) hook instead. If your hat is coming out too big go down one hook size and vice versa if it’s too small.
" 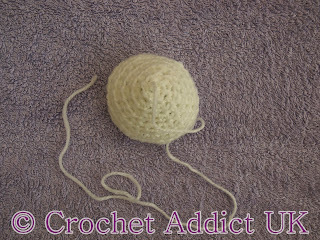 11.5"-13" 5.5" - 6"
" 14" - 17" 6.5" - 7"
Using 5mm (H) hook & white yarn. 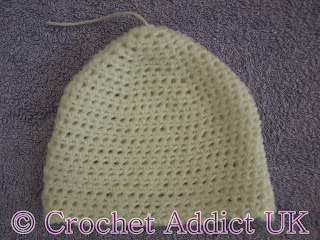 When you have finished the above slip stitch x 2, finish. 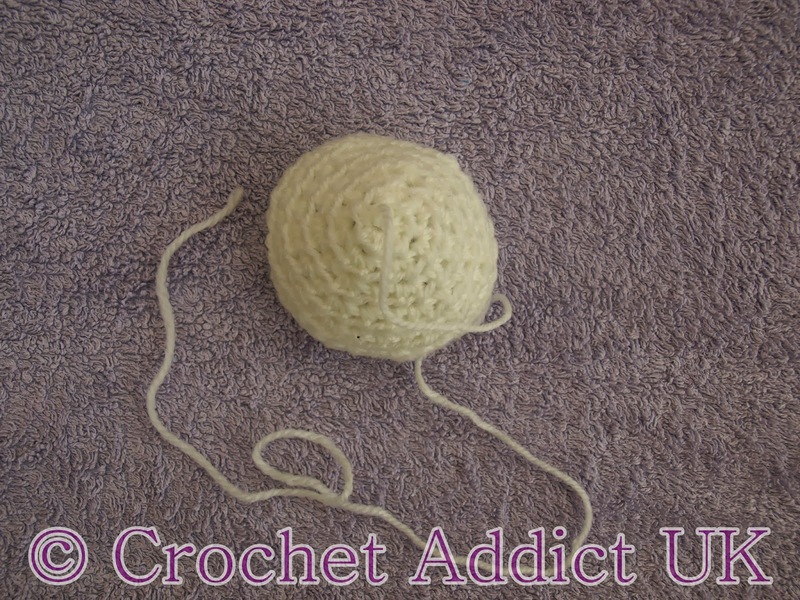 Using 4mm (6) hook & white yarn. 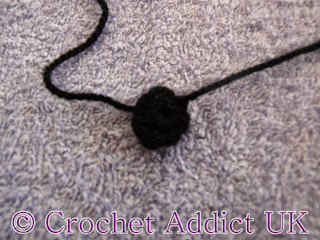 Using 4mm (6) hook & black yarn. 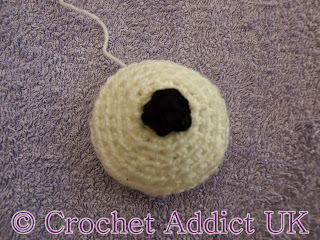 Using 4mm (6) hook and white yarn. 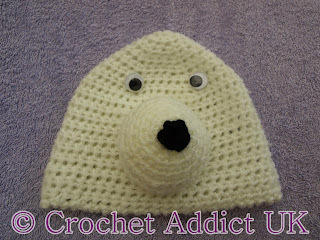 Attach the nose to the hat, leaving a space to stuff and then finish off once stuffed. 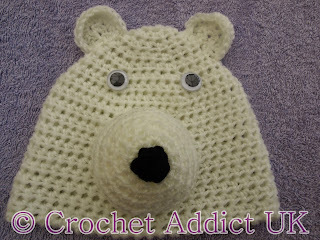 Thank you for this cute pattern. I'm almost finished making one for my hubby (we all call him "Polar Bear") to give his first nephew, when we finally get to meet him. 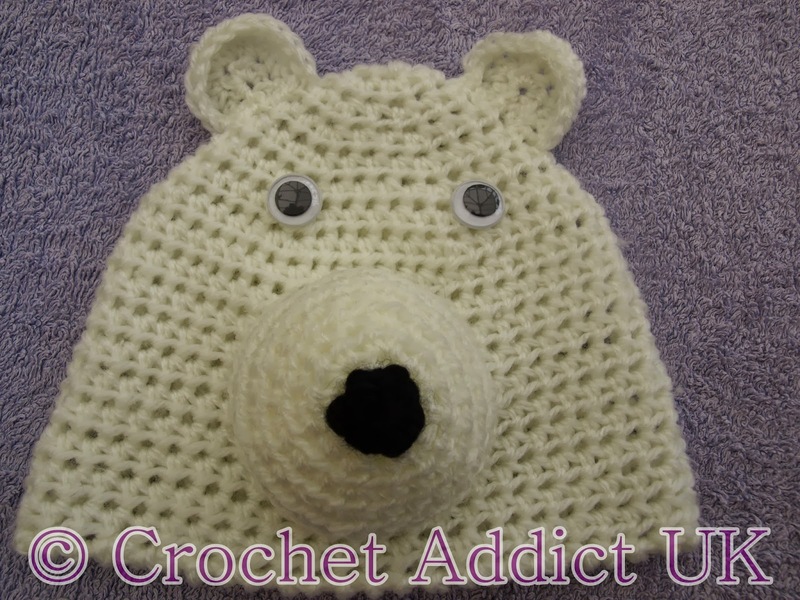 He is dew in a couple weeks. This made for the perfect gift. Thank you again. You are more than welcome. I hope you enjoyed the pattern!